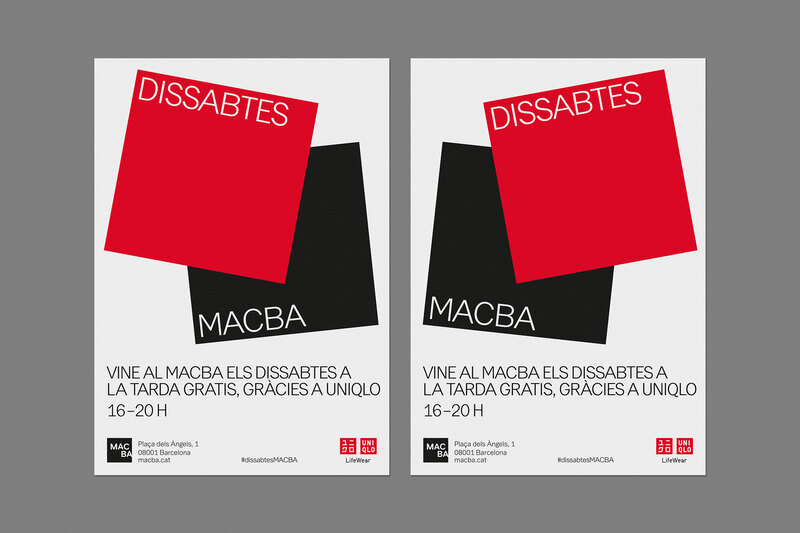 The Museum of Contemporary Art of Barcelona (MACBA) is one of the city’s leading cultural institutions, an iconic architectural symbol as well as a reference point for art and culture. In the spring of 2018, UNIQLO, the global Japanese clothing company, who had recently arrived in the city, became their official partner. 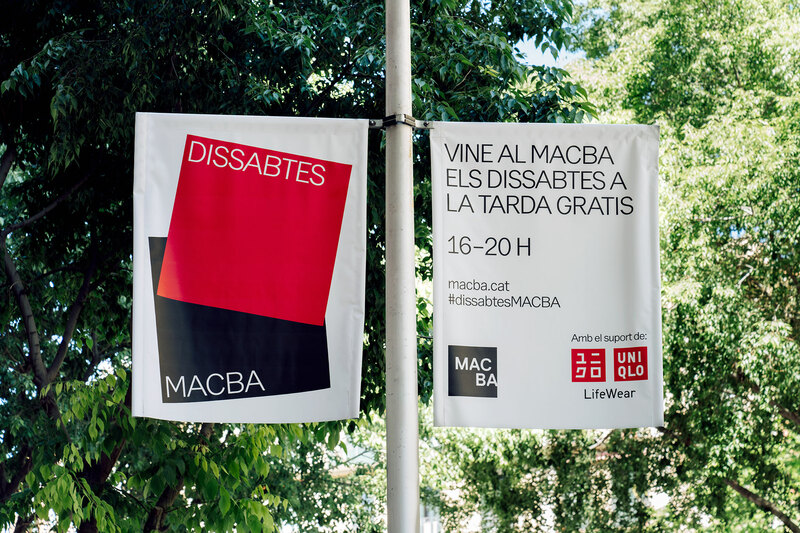 The partnership gave free entry to the museum every Saturday evening and invited people to participate in activities such as the “Let’s talk about art” guided visits and the “Late MACBA session”. Hey were commissioned to create a campaign that represented the close relationship between two big institutions in the city centre. 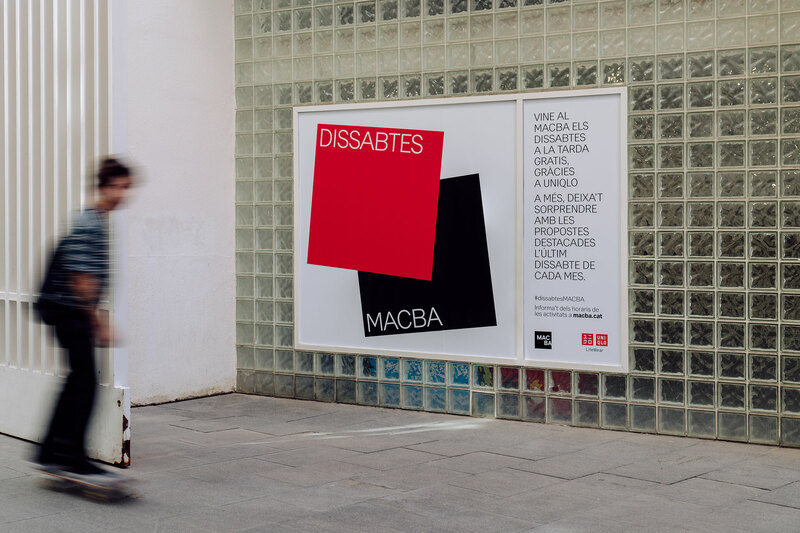 Under the umbrella of the “Dissabtes MACBA” (“MACBA’s Saturdays”) campaign name, created by Nom-Nam, we developed a bold visual strategy that physically represented the merging of both the brands. 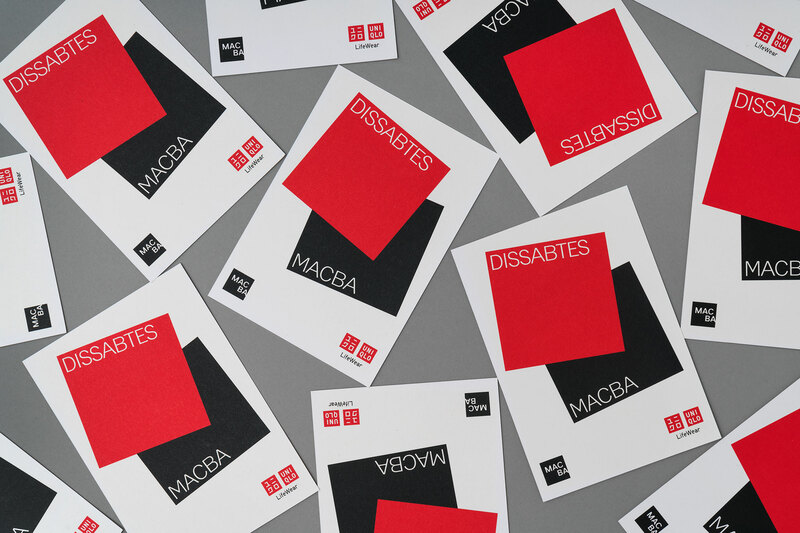 The square logotypes of MACBA and UNIQLO are brought together into coloured shapes that always connect, showing that this new initiative was only feasible thanks to both brands coming together. The palette is limited to the colours of both brands, black and red to emphasize the fusion of two institutions into a unique entity. The system was applied across different formats, from posters and bus ads to digital screens in the museum.